Can a program appraise the market and make decisions on its own? This is a question anyone engaged in trading asks themselves. Unfortunately, artificial intelligence hasn't been created yet, but an already known algorithm can be fully automated, quite successfully. This is what trading robots exist for. Based on my experience and circle of contacts, I can assert that the beginners and experienced traders are looking for advisers using the methods and formulas they have already used or at least studied in theory. The most glaring example is a set of algorithms with a common root in the name of Stochastic expert adviser, taking decisions in their operations based on the values of flexible settings of the homonymic indicator. Let’s take a look at each group of such advisers. 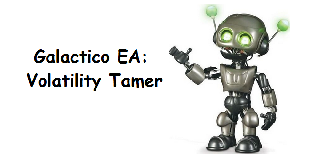 Galactico expert advisor is a robot trading in short-term periods and focused on volatility breakouts. This EA was developed specifically for EUR/USD currency pair. The system opens pending orders to buy and sell at a certain distance from the current price in the trading process. In the case when there is a surge in the price dynamics and quotes go beyond orders’ margin settings, a position in the direction of the movement is opened. The distinctive feature of this advisor is that after every failed deal it doubles the size of the next deal's position. Use of robots in online trading has long been a usual practice. Both traders and the EA creators went far enough in this direction. Of course, many traders want to make good money on the first place, and then also make money without much efforts and frequent control. They want to turn a robot once and take profit in the end of the month. eForwardActive advisor represents a new series of trading systems. This expert class constitutes algorithms able to calculate phases of trend closures and to open in the opposite direction to the previous trend. There are several versions of the advisor. The first one was available to traders late last summer. Since then, developers have been constantly trying to update the algorithm and introduce new versions. 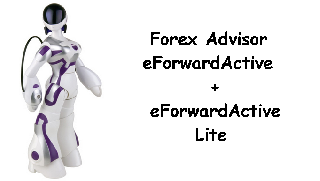 For example, eForwardActive Lite advisor is a version of the system that uses a special (simplified) system of position sizing. This innovation allows to achieve more sustainable results during market phases that are hard to forecast. Choosing the trading conception on Forex is one of the main priorities of traders. Some prefer to work on the minute charts, others choose the largest time intervals. There are traders who prefer exclusive trading, while others can easily entrust their deposit to advisors. This is because one needs both the time and the possibility to trade on Forex. In such a way, an efficient advisor needs to be chosen that could provide good trading results. This is when a trader faces the need to choose. 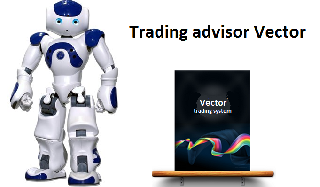 Continuing the series of reviews on popular trading advisors we will consider the following robot. The Wall Street Robot Forex advisor is one of the most advanced algorithms. This EA is able to learn new things by itself and has a system of flexible adaptation to a constantly changing market. In first versions the advisor worked on four major currency pairs: EUR/ USD, GBP/ USD, USD/CHF, USD/JPY. Recent versions of the expert work with a slightly different set of tools. Particularly, the 3.9 versions are not available to work with the USD/CHF pair due to the low efficiency of trading on this instrument. 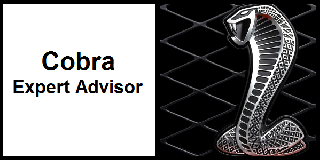 The Forex advisor Grid is one of the most popular Forex advisors. Being a martingale advisor, this advisor can speed up trading accounts in short period of time. Of course in this case you also have a great possibility to lose the whole capital. Usually traders, who trade with the aid of advisors, just prepare a small part of their fund, to get the chance to receive additional profit without high risk. Recently the trading advisor Vector has become wide known and popular among currency market traders. Being tested by the most experienced market participants, this adviser keeps bringing profit for those, who use it. It is widely known, that the only free cheese is in the mousetrap. To use this mode for your own benefit, you should pay fee. After that you receive the advisor and a password. You can buy the licensed Vector advisor for the price starting from $ 200 to $ 300 in the Internet. Forex industry offers so many universal trading advisors, which are able to work on many instruments and in different time periods. 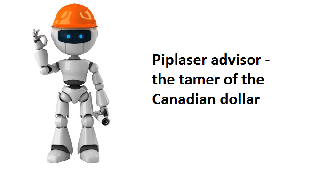 Trade Expert Piplaser is the advisor with narrow specialization. This simple algorithm was announced in 2011. It was presented to the public by the company Albert Perrie and John Grace. 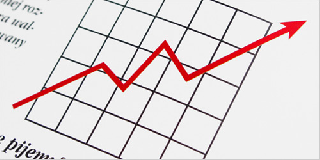 Users of automated trading systems always meet new products of this manufacturer with a great interest. This company always offers high quality and popular products. Recently, the use of automated trading systems in foreign exchange markets has become a common practice. While trading with Forex advisors- is a science. The current wisdom is that experts do not need any specific knowledge or skills to make profit on the market. This is likely to mislead, as the knowledge and skills are required. Moreover, the trader should be a specialist in several fields. A trader should understand both methods of trading, money management, and the technical aspects of the software. This article explains what Forex trading advisors are. Traders who choose an automated trading, most of the time do not pay attention to commission operations, since these functions are delegated to trading advisors. They track results, set advisors and configure these settings. Setting the Forex advisor involves set of standard procedures. A trader risks losing a significant part of profits if he or she does not adjust automated trading systems properly. Thus, setting Forex advisor includes conceptual as well as software (technical) nuances. The Cash Hammer adviser is a pretty popular scalper today. There are different versions of it and the latest one is 5.01. This adviser quickly gained popularity among those who use short-term systems as it shows very good results in profitability. 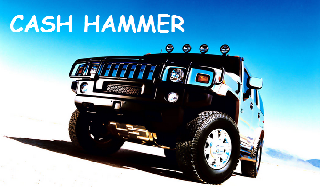 Endless and relentless optimization can work wonders and the commercial adviser Cash Hammer proves it. But you should not flatter yourself as the risks, which this system bears are also high. Short-term drawdown can be quite profound. This article describes all these matters. With the popularization of automated trading in the foreign exchange market, more and more traders and investors are trying to find a profitable forex advisors. Some say that profitable advisors are available only for the money, and rather big, somebody thinks that they do not exist, and someone says that for several years using a free advisor, downloaded on the Internet, and makes a profit. The truth, as always, is somewhere in between. 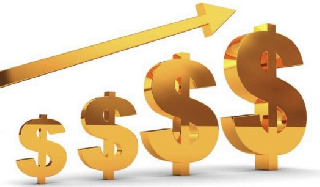 Trading on the Forex currency market is accessible to almost anyone. And even the existence of a reliable capital is no longer a condition for profitable trading, open a deposit can be any amount, even with the 10 dollars. Many traders begin their trade with little capital, in this connection were even developed special adviser for small deposits. They are mostly designed for short-term trading and for a quick profit. Is there a best adviser? In the currency market trades many hundreds of thousands of traders all have different trading results, profits, strategy. However, the goal of becoming the best of the best in this area is not a priority market participants. You could even say that trade is to some extent an art, and each style has its followers, supporters, critics, so success in trade hard to compare, and it makes no sense. Forex Trading is a case of one man who himself defines its objectives, level of risk and desired profit. Someone is satisfied and 10 dollars, and for some 1 million dollars is not enough. The same can be said about the best adviser. Every trader sees it differently. 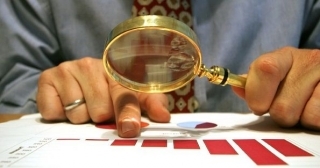 How to find a proven forex advisors? To say that trading advisors in the network has a lot of is to say nothing. The number of forex advisors, and new strategies rolls over, every day there are new promising to bring 1000 % per month advisers. Each trader can put your trading method on the Internet, but few of them are really worried about the efficiency and reliability of the strategy. 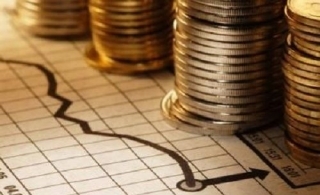 Therefore, more cases of bankruptcy, discharges and losses of deposits inexperienced investors or beginners. All because of a low level of knowledge in the field of trade advisers above market representatives. Therefore, in this article we'll look at how to find a proven forex advisors and save their money from very mediocre robots. We start as usual with the basics - what can be considered a proven adviser? The description says that the robot is trading on a particular algorithm, which is usually described in detail, the developer promises a grand profit, and also free. Is not that an investor's dream? The answer to this question and we have to find out. Profit, profit, profit - these words warm the soul to any trader, and not only the trader, but just anyone. 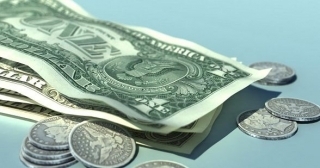 But, nevertheless, only a few of those involved in Forex currency trading, receive a steady income. If you look at the problem from another angle, another angle, one can not help asking the question: "Maybe you should first learn how to trade without losing money? "In other words, trade to breakeven, yes, even while you do not earn, but it is well and that you at least have nothing to lose. Those who think so are probably trying to find a break-even net forex advisor. Is this possible? - Read on. Presence cent accounts or as they are called micro accounts, is almost obligatory part of every modern DC. Many traders avoid them, and some consider them, almost the best, an indispensable tool for the transition from a demo account to a real trade, and for a more credible and successful testing of expert advisors. Often, the network can be seen as an expression Cent forex advisor, recently they have become more and more relevant and in demand.